When I was pregnant with Ella, my first born, I was forever enticed into my maternity leave by the reassuring and somewhat encouraging comments (in hindsight, mostly from males - which makes sense now!) talking about the wonderful holiday I would be taking from work as I venture into the world of Motherhood. Maternity leave was painted as this beautiful picture of ladies who lunch, walks in the park and sipping on an abundance of tea while catching up on the car crash TV that my other half point blank refuses to watch post 7pm. Leaving the 'actual' world of work would open my time up to afternoon naps, a free schedule of 'me time' because after all, I didn't have a 9-5 anymore plus baby's need sleep so how else could I possibly fill my days when there was no more grind? In actuality, this preconceived, delirious perception of Motherhood and Maternity Leave couldn't be further from the truth. The fact of the matter is that I have never sat down less, slept more appallingly or drank more bitter cold cups of tea in my puff. I'm pretty sure I've bored holes in my carpet running up my 'Mum Miles' up and downstairs - and that was just for the 7493629 things I forgot to pack in my changing bag before I left the house! Want to become fit? Become a parent! 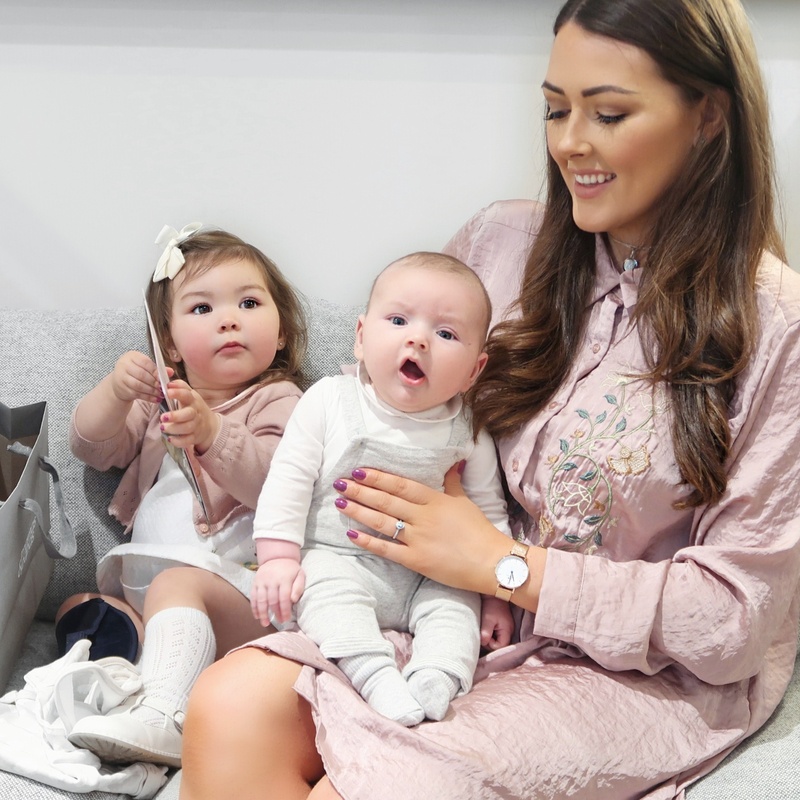 Contrary to my fellow office buddies belief, recent research shows that new parents spend an average of 8 hours on their feet every day, with some (30%) on theirs for more than 10 hours - the category that I undoubtedly fall into! This is almost double the average person in a sedentary environment, completely throwing my 'Maternity Leave Holiday' out of the window. Fast forward a couple of years and here I find myself again, on my 'Maternity Leave Vacay'. More tired than ever but doing the most rewarding job as I care for my two little bundles of chaos. My 'Mum Miles' seem to have more than doubled which seems crazy, I only added one more to the quota so it should all be relative, right? Wrong! 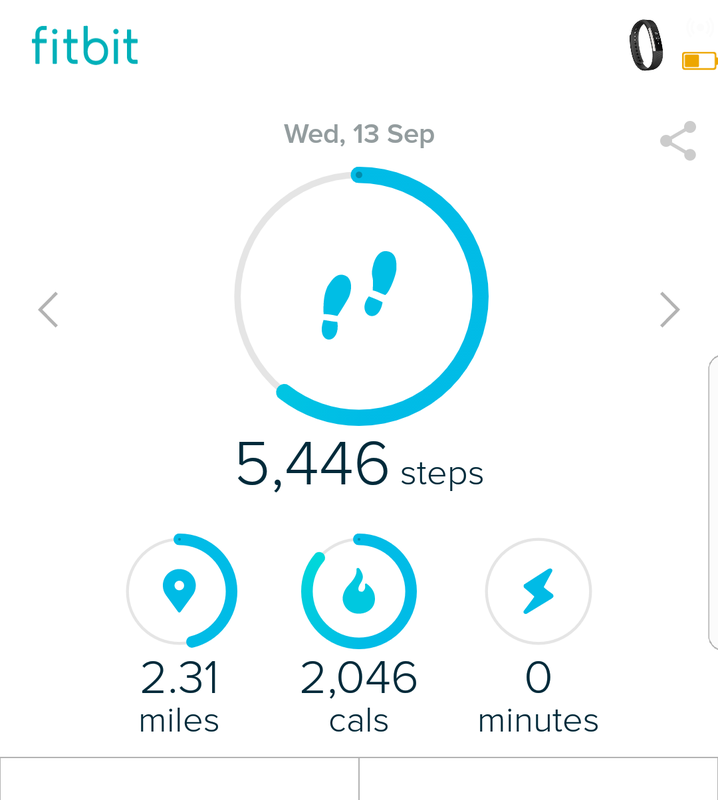 I've been monitoring my day-to-day activity with a FitBit and couldn't believe the results. Between this and sharing every single meal with a curious 2 year old, it's a wonder I'm not a beach body ready! 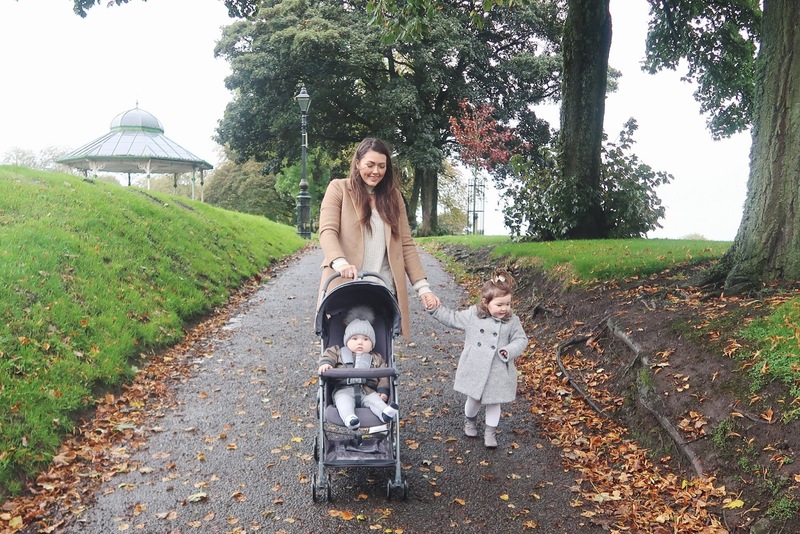 As part of the Graco Parenting Miles campaign I have been trying out the incredible Featherweight pushchair. Upon it's arrival I was ready and braced to take the delivery from the mail man only to feel like I'd just accepted delivery of an empty box. I was astounded at how at this early impression it was already living up to it's featherweight claims. 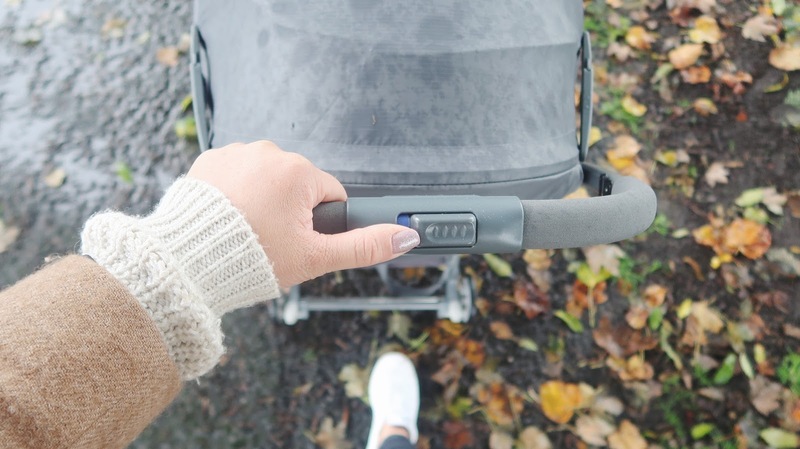 Weighing only 3.6kg and with a one-hand fold system, it's the most fuss free pushchair we have used. 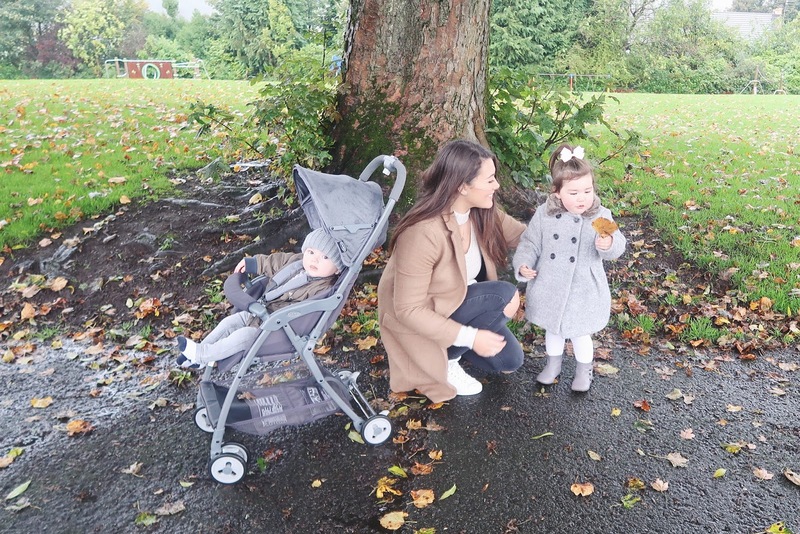 Its compact fold makes it the perfect pushchair for walks in the park and travelling. We often struggle to fit our dog in the car boot as well as a pushchair when we set off on family adventures but with the Graco Featherweight this isn't an issue. I've already got it top of the list for our family holiday next year as it will certainly lighten the load. The convenience of the pushchair and it's lightweight attributes are one thing, but as you all know I love fashion it is super important to me. Usually if something has a great feature like this, you compromise on style - not with the Graco Featherweight.It's contemporary design is so sleek and it comes in the on-trend tones of Grey but also Red for the more daring among us. So not only is it a wonderful addition for a more simplistic running of the day, it's also an easily co-ordinating piece too. Forget bulky handbags which can turn into bottomless pits. Free up your hands whilst pushing a pushchair by wearing a back pack instead. Choose one accessible pocket in your bag where – without fail – you ALWAYS put your essentials, such as your debit card, phone and keys when you’re on the move. That way you will avoid panicky moments rooting around to find them – or worrying you’ve left them somewhere. Before heading out to the shops with your pushchair, make sure you don’t overload yourself by taking a picture on your phone of the inside of your fridge, so you have an instant visual reminder of what you do and don’t need to buy. To give you the ultimate freedom outside the home whether you’re on a day-out, shopping or climbing stairs, choose a lightweight pushchair. At 3.6kg, the Graco Featherweight is about the weight of an average newborn baby, and suitable from birth to 15kgs or approximately 3 years. To save on trips collecting missed online deliveries, make friends with your postman and local delivery drivers for the companies you use most. There’s nothing more irritating than narrowly finding the ‘Sorry We Missed You’ card on the doormat and then having to re-arrange delivery, or trudge to a collection point and wait in a queue, with baby or toddler in tow. Go shopping at the quietest times – early morning is good. With young children, you’re more likely to be up than the rest of the adult population. Or, now that there are more 24-hour supermarkets, if you have a partner who’s at home, go at night when the kids are in bed to avoid stress, tantrums from bored children, and longer trips. So with all of those points noted and my Graco Featherweight pushchair, I feel armed and ready for more of this motherhood madness! It lays down flat for sleepy time and has a huge under storage area, now all I need to do is pray for a long afternoon nap so I can go shopping and put that basket to good use! *this post was sponsored by Graco. As always, all content created and opinions are my own. I'm a great believer in allowing your child some TV time. I feel that this along with active learning has provided Ella with a stimulus for discovery and for her imagination to flourish. 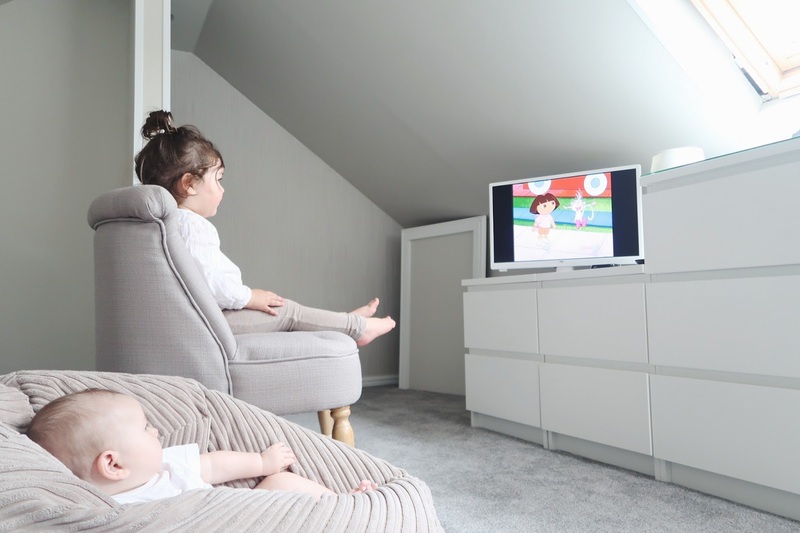 Now that Charlie's attic nursery is almost complete, we have decided to add a TV into the space to give them both an area to spend time together watching movies & shows. All seemed straight forward until we stumbled upon the difficulty of connections, TV packages and more importantly the cost to add another room to our current bundle. It was all really complicated and ultimately super expensive. But what good was a TV without any shows? None really. I was at a bit of a loss as to what to do and although I knew we had the option to watch DVDs through the little TV we chose, I also know all too well how my child's mind changes like the weather never mind the faff associated with storing DVDs or making sure the toddler doesn't scratch, eat or use said discs as Barbie's fancy new dinner plate. 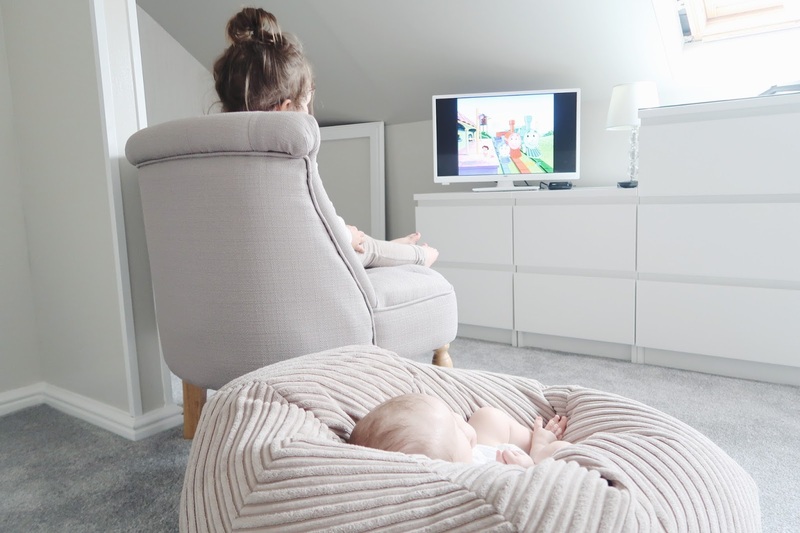 My vision of a little movie hideaway in the nursery was feeling out of reach until I was offered the opportunity try the NOW TV Kids Pass & it's like it covered all bases. The smartly compact box with it's own handy remote was the solution we were looking for. It connects through one HDMI cable, runs through your home broadband (wirelessly - yay!) and that's pretty much it! Fuss-free, effective & so user friendly. It's opened our extra little attic telly into hours of fun with a huge variety of 1000s of choices on the library. Not only are there so many amazing shows to choose from, the big name favourites are on the NOW TV Kids Pass. Massively popular shows like, Peppa Pig, Paw Patrol and so many more. You'll be guaranteed to come across some notable character in the huge selection of awesome shows! I think this is great because it means easily distracted children, like my own, can move on to something fresh when they exhaust their current favourite! After connecting the box it prompted me to sign up for a NOWTV account. As soon as I see/hear 'open an account' for me, naturally, alarm bells start ringing. (Is that just me or anyone else?) 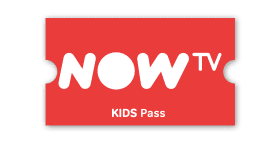 But rest assured, this isn't conventional monthly subscription as you are not tied to any contract and for just £2.99 (yes, less than £3 a month) you have a complete array of programmes and movies through the NOW TV Kids Pass to allow your littles to explore. I couldn't believe it was going be cost less than £1 a week to keep my little ones entertained! It's such incredible value for money and the best deal I've seen! What I love most, other than the vast selection of choice, is the parental controls on the box. 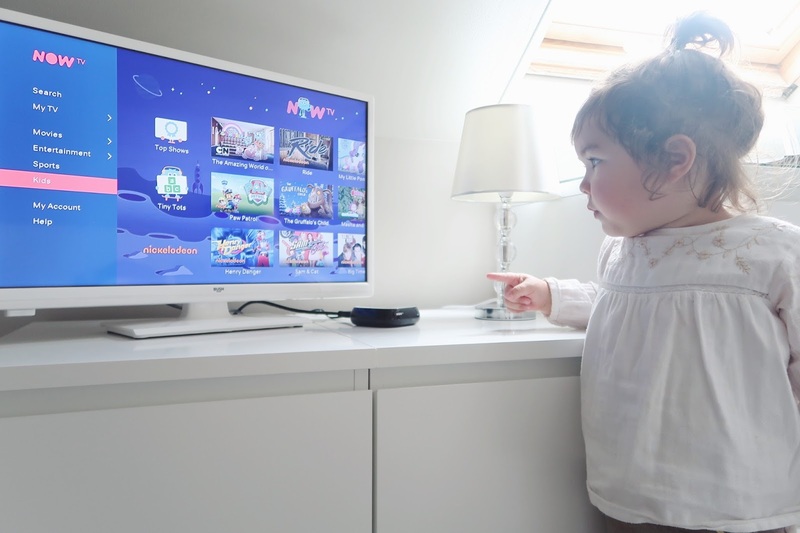 I have complete piece of mind knowing that the information and programmes shown on screen are going to be age appropriate, even if Ella gets hold of the remote and tries to start navigating herself, which is super easy to do with the simple design and set-up. This would also come in handy if you take advantage of the NOW TV Entertainment Pass which is more geared towards teens & adults. The kids On Demand content has no ads - hurrah! This is most pleasing for my impatient 2 year old who is only too keen to skip these on other social platforms! The NOW TV Kids Pass is home to a number of favourites like Peppa Pig, My Little Pony, Paw Patrol and so many more! For us, it's actually cheaper to cancel these from our main TV and Broadband package and simply have them through our NOW TV box - it's a no brainer! 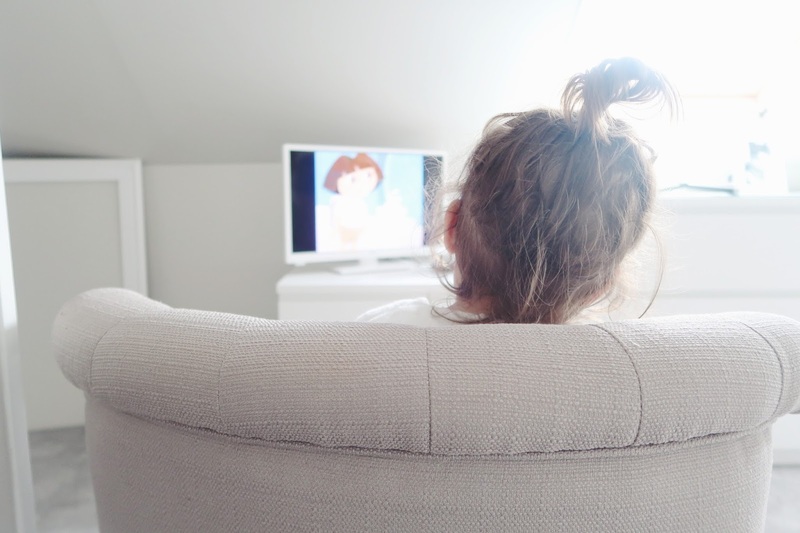 We spent a rainy Sunday afternoon watching Dora the Explorer & The Gruffalo. Ella loved looking at the huge list of shows to choose from and selecting her favourite. It gave me some much-needed quiet time to tidy the room and put away some laundry before I joined in on a snuggle & chilled out too. 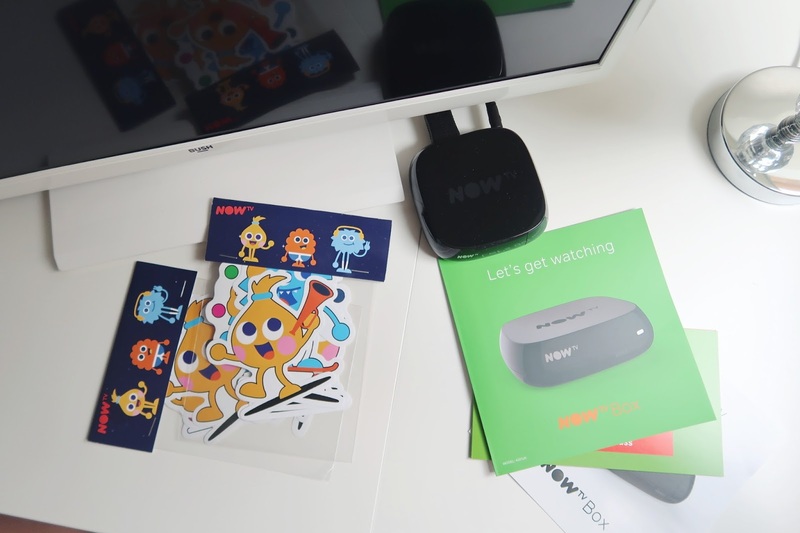 Not only is the NOWTV Box + Kids Pass the ideal solution for additional rooms, it's also easily transferable to the main TV in your living space as the compact box simply unplugs and can be reconnected to any TV output. 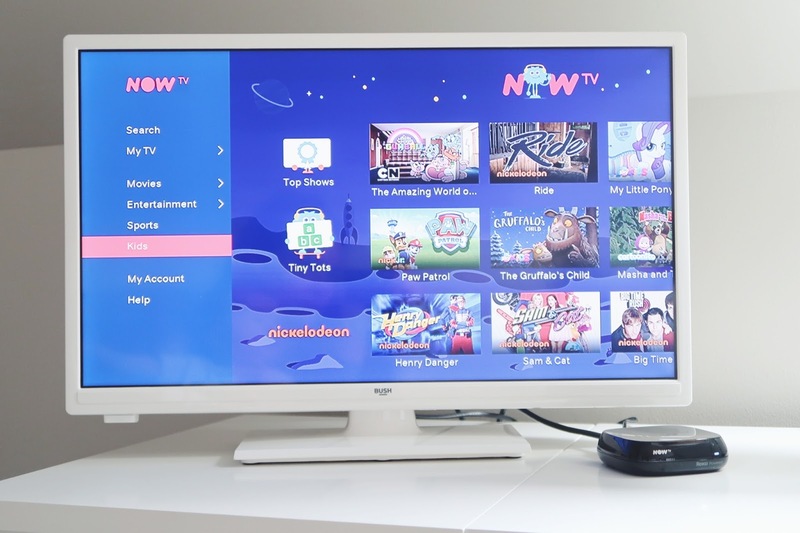 When you sign up for a NOW TV account you can enjoy a 14 day free trial. What's great is that you don't even require a box, you can simply download the app to any device and stream the fun straight to your phone/tablet. 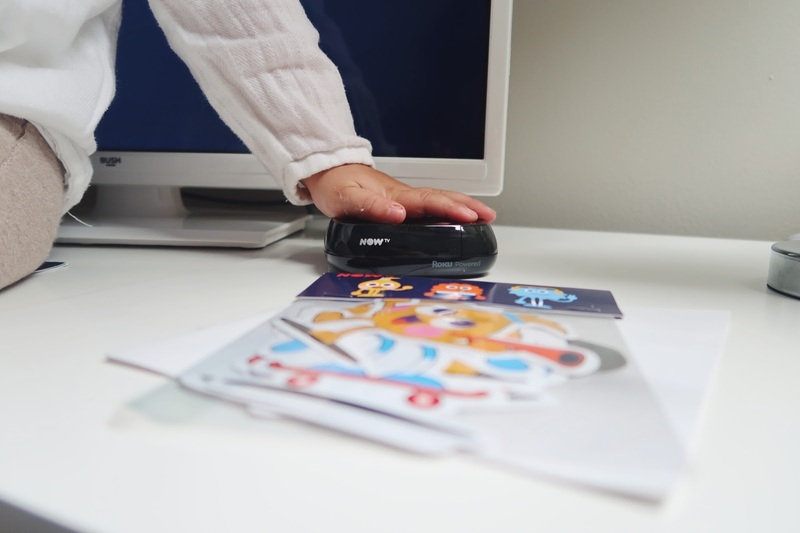 Keep the kids entertained with awesome kids TV with a NOW TV Kids Pass or grab a NOW TV Entertainment Pass for the latest must-see TV shows for the rest of the family. Visit www.nowtv.com/kids-tv to start watching! *This post is sponsored by NOW TV and The Studio @ Evolve. MUM HACKS EVERYONE SHOULD KNOW! I'm not going to lie, bed time hasn't been the easiest recently. I don't know whether it's the on set on terrible twos or if Ella just feels a little left out since Charlie is still sitting downstairs with us when she goes to bed. We are trying to settle things down and get back on track as bed time has never been an issue for us with Ella, I accredit this to the fact we did controlled crying from around 6 months with her and it worked a treat. In a bid to try and make her own bed a more appealing place we have tried using new blankets (Ella's special 'blank' as she calls it), regressing slightly by giving her a bedtime bottle and reading a multitude of stories before she falls asleep. Admittedly all of these attempts have failed and call me a bad parent but I've had to leave her crying herself to sleep because otherwise she'd be up all night. It's really awful. It makes me feel like a failure, Fraser & I sometimes come to disagree because we are frustrated and all the while we have got a little baby to watch too. It's just a terrible combination. I often but it down to being lucky in all other aspects of the day & this is just my deserved dose of bad behaviour because it's only fair. Although this is only a recent issue, maybe the past 4 weeks, it hasn't really translated to overnight stays at my mums house. My mum has her own bed time routine with Ella where she puts her to bed and uses her Sonos Music System (basically speakers integrated into her ceiling and operated by a base unit) to play lullabies and this really works to send her off to sleep. We looked into doing the same in our house and it was going to cost a fortune. We often thought about leaving our phones/tablets in the room too but then notifications from social media or if I have to do a little bit of work meant that wasn't the best option. Plus it would also involve having to go back later to take it out and risk waking her up - not one I was willing to take! Then I seen the Zazu Music Box and thought we'd found a cheap solution! We opted to get Zoe the Penguin, a cute little speaker that connects via bluetooth to your smartphone and plays your music. It's even compatible with your spotify playlists so you can create your own or use the handy pre-made Zazu Night Time playlist. If you're out and about you can take Zoe the penguin on the go and it even has an attachment to clip on to your pushchair meaning you won't lose it. The speaker has some pre-programmed music too including white noise, heartbeat, birds tweeting and many more. Ella's favourite is the lullaby which we have been playing for her the past few nap times/bed times and although there may be a few tears and tantrums, they're short lived! The speaker also has volume control which I love! Most of these products only have one setting whereas at least you can turn this up and down dependant on the setting you're looking to accommodate. It works wirelessly and the battery life lasts forever. We haven't had to charge it in the week that we have used it and Ella has also been playing with it outwith napping. I'm glad to see a product that has actually adapted with the changes in technology and can fit in with a modern lifestyle but more than that I love that it may have brought us a solution to a stressful bedtime! We all know how expensive it can be trying to entertain the family. I often find myself stuck between a rock and a hard place when it comes to organising a day out for us and the kids. I want to save cash because lets face it, maternity leave can run away with you and at the same time I argue the point to myself that these days are limited and we have to make the most of them. Although I usually find a free day at the park with a picnic as fun as an expensive trip to the zoo & lunch, sometimes you need a bit of variety to break the routine a little which is exactly what Park Lives from Coca Cola has been designed to do. Park Lives have teamed up with councils from across the country to offer fun, free activities for you & your family to enjoy outside in your local area. There's a such a wide variety to choose from to suit all ages including Baby Yoga, Karate, Running and even Tennis. But what really caught my eye was the 'Buggy up' fitness class which I decided to go to at the weekend. I've always longed for such a class in Glasgow, it's something that's popular in the states and more notably with celebrities who have just had their babies. It also eliminates the excuse of 'I can't go to the gym, who's looking after the baby?' 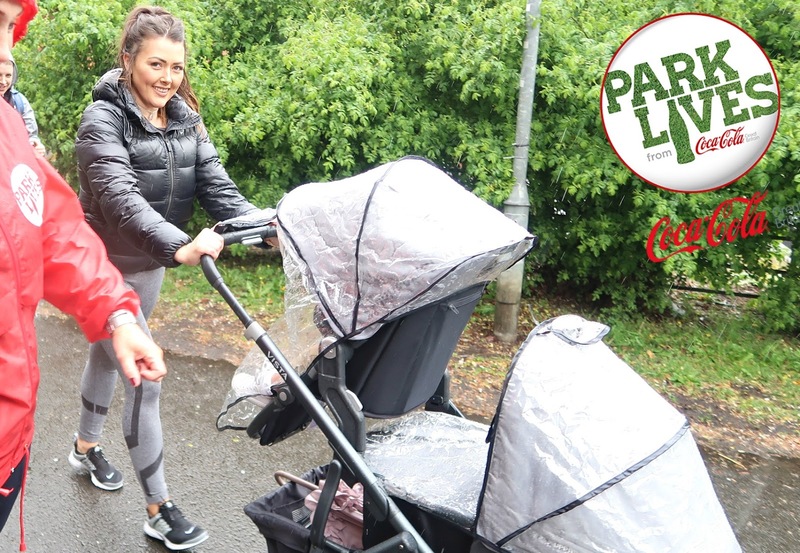 because with them in tow you can go and meet other like minded mums who are no doubt at the same level of fitness given that they are also in the post partum days. I used the handy Activity Finder on the Park Lives website to find the nearest class. Luckily for me there was space at the Saturday Morning class at Bellahouston Park. So with both kiddies and the pram at the ready, I headed off for the 10AM start. I was greeted by one of the lovely 'Park Lives' team leaders who was easy to spot in the branded T-shirt. She was so lovely and told me that she was actually a midwife come fitness instructor meaning I was in safe hands with a professional. The heavens were open but that didn't stop me or the other 2 girls who were both pregnant with 9 weeks to go! How amazing?! We did a nice stretch to warm up and then went for a jog. Making the most of the park surroundings we also did some drills up and down stairs and press-ups against the walls. The benches made for the perfect spot to do tricep dips and in-between each station of exercise we made our way around the park. power walking and jogging. In the park there is also a gym area where we rotated stations for 3 sets. It was tough going considering it was just using your own body weight! I didn't think I'd be able to pack in SO much to an hour! The weather, like it is most of the time in Scotland, was miserable but there was something really refreshing about getting soaked to the skin when we were working out. In saying that, it would have been amazing to have enjoyed the class in the sunshine we had last week too! Becoming a parent is such an exciting, momentous time. There's so much to plan and look forward to. In as much as it is a joyous time it can also be so stressful too. Hormones are flooding in and it seems there are a million things on your never ending to-do list. 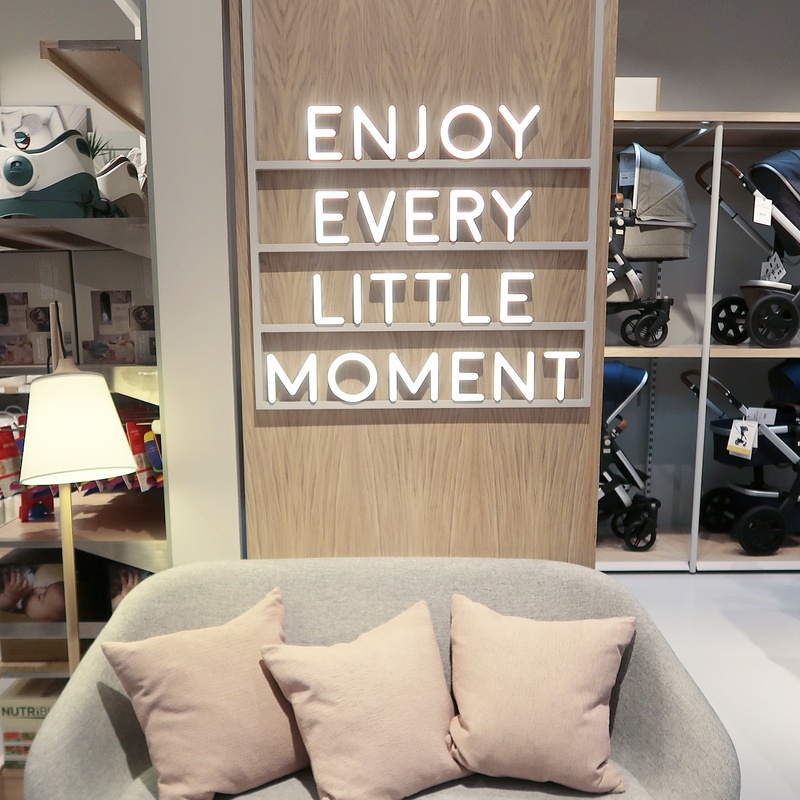 Couple this with the saturated market of baby products and you've got a mind field for new parents to rally through before the arrival of their little one. It's almost like an expectation that because you made a child you're supposed to know exactly what you need to buy and how you are supposed to use it. That couldn't be further from the truth. It was a revelation to see that the market leaders Mamas & Papas just 'get it' from the launch of their new store in the Glasgow Fort shopping centre. I was invited along to the launch of what can only be described as an innovation in the consumer buying experience. 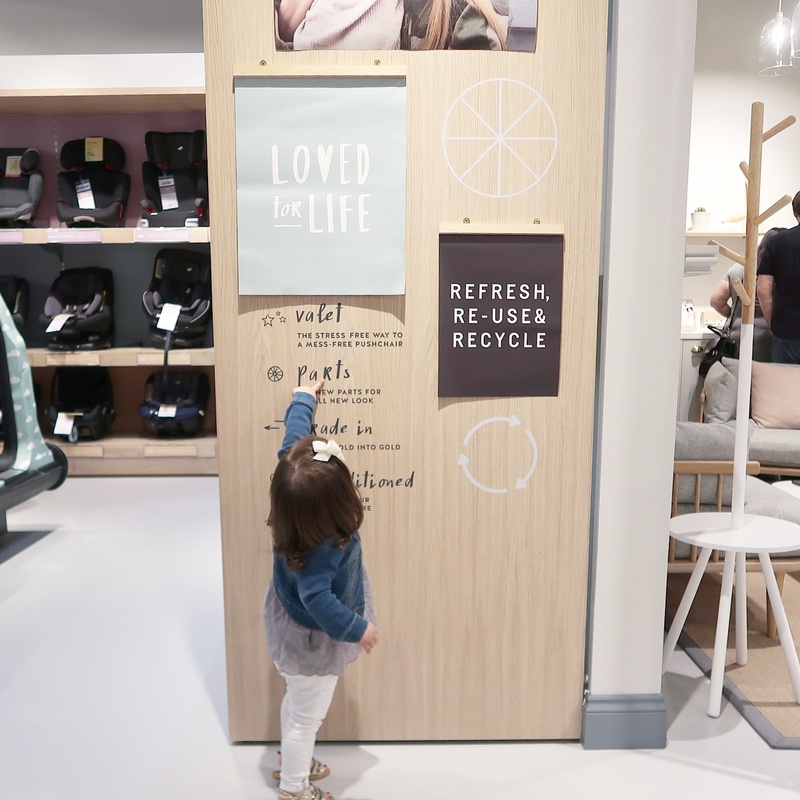 The new store has mapped out each area of a new parent's 'to-do' list into easily digestible store segments removing that overwhelming feeling of being faced by a mass array of baby gadgets and not having a clue what you're looking for, something that is often experienced in that of their competitors. At the impressive, modern entrance I was greeting by a friendly member of staff, a pertinent moment of the day I feel as I was welcomed inside and given the offer of help, should I need it at any point. In true Mamas and Papas style there was no expense spared and I was given a goodie bag, just like those who entered the store at the same time. It contained a couple of Bloom & Blossom samples (my fav!) as well as a vest, bib, information leaflets and a cute bunny rattle which Charlie just adores! At the forefront of the store there's an extensive selection of the most beautiful and tasteful baby clothes split into gender sections as well as a central pod of neutrals. Mamas & Papas always get it right when it comes to their clothing. As most of you will well know if you follow my instagram (here) I dress both Ella and Charlie in a lot of their range. The colour hues are always perfect and the styles are so well crafted, I feel like I'm always getting quality value for money. One of my favourite things about shopping with Mamas & Papas is their transparency, I never feel like I'm being tricked into spending too much on something because even if you buy something, wear it and it goes into sale a week later you can just ask for the difference back in cash or on your card & they refund it without a quibble! What other stores do you know that would do that?! AMAZING. And as a result they get my custom time & time again. Beyond the clothing section the store splits by a walkway into two parts. One side is Nursery/Home decor filled with bedding, nursery furniture, pillows, decorative pieces, wallpaper and everything else you would need to decorate a baby room. I loved their little cloud floating shelves for Charlie's nursery as I have a bit of a cloud theme so far so I'll be making a trip back to get those before I film the much requested Nursery Tour on my YouTube Channel. There's also really handy themes to stick to if you're unsure on how to style pieces together. You'll be able to find furniture, bedding & accessories such as lamp shades and curtains all in your chosen theme making it easy for even the most novice of interior designers! 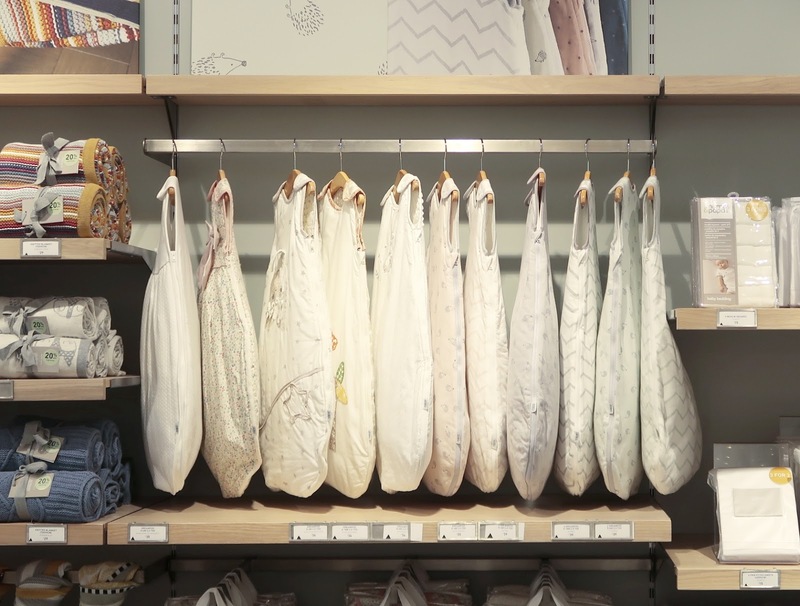 The natural colour schemes are cleverly selected to ensure you're going to obtain a timeless design in your baby's room, each of the themes also come with a co-ordinating sleep bag that you can buy too. An 'easy to compare' electronics and gadgets section is in this area too, showcasing the newest products to the market making sure you're up to date with changes in technology. This is next to the bath time area where there are a few bath aids to chose from as well as some gentle products and essentials such as towels etc. 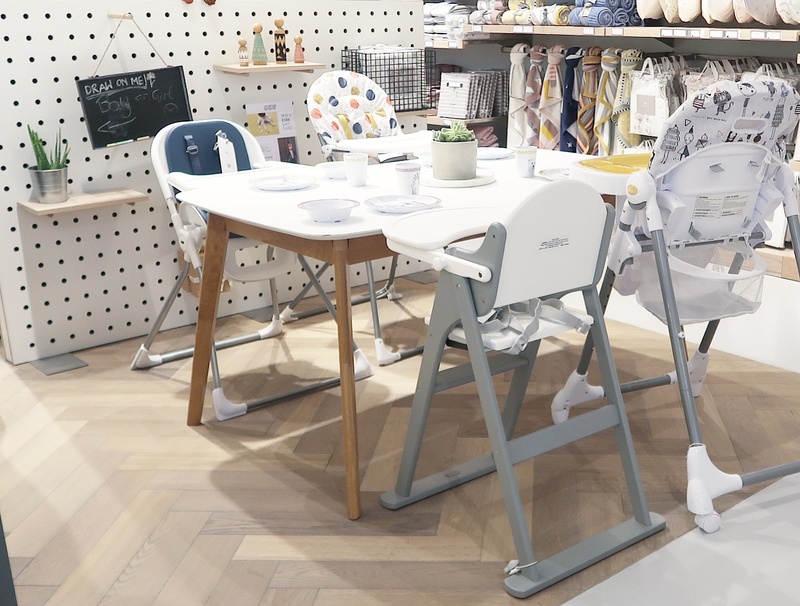 Moving on theres a feeding station showcasing the most beautiful highchair range available in store. This is a spacious are where parents to be can manoeuvre the products around and play around with how to assemble parts together. This ultimately helps new parents make an informed decision because I know myself that time & time again I have found I've bought items without a run through and it's not until I've got home and tried them out that I realise they're not fit for my needs. One of the features of the store that I love are how many rest areas they have. This was ideal for me as I needed to feed Charlie often and need a seat initially to do so but I'm sure these were designed for the tired out husbands in mind when their pregnant better half can't make a decision on which colour scheme to go for!! Located at the rear of the shop was what can only be described as a car show room of travel systems. Cleverly coordinated in muted tones sat an assembly of unified branded strollers all shapes, sizes and levels of affordability. 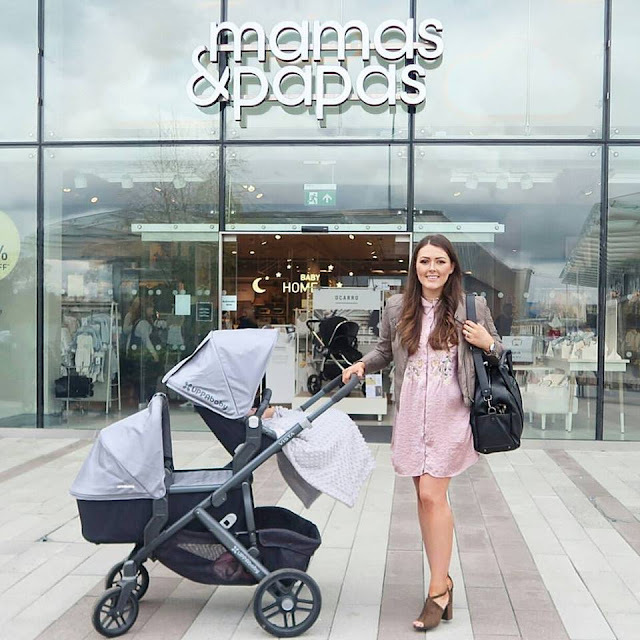 I really love that Mamas and Papas have recognised the importance of presenting their strollers as a blank canvas and rather than having crazy tester colours in their pushchairs, most were grey, black, navy or sage, allowing the customer to see past the colour and look at the functionality of their potential pram. There was a spacious area of floor room where customers can take their prams for a test drive if you will so they can get the feeling for the product which I know is the case in most stores but where Mamas and Papas stands out is that they have a Mini Cooper car in the back of the store so you can have a demonstration of how to assemble your pushchair and how to put it back down again and into your car boot. 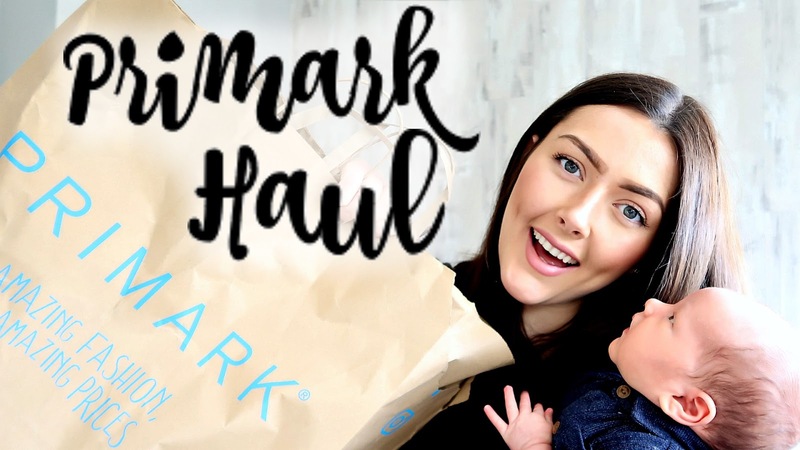 This is such an important part of the shopping experience for new parents as I feel it eliminates the stress of just buying it and having to work it all out at home yourselves. Not only that but the car is also used as a demonstration for how to fit an isofix base and how to correctly strap in a carseat if you've opted out of an isofix. This is such a sensible move from the store as it helps minimise the chance of an accident. And like all stores of this nature should do, there's also something to entertain the kids. Standing on a platform starts the screen moving and a whole load of woodland creatures appear. 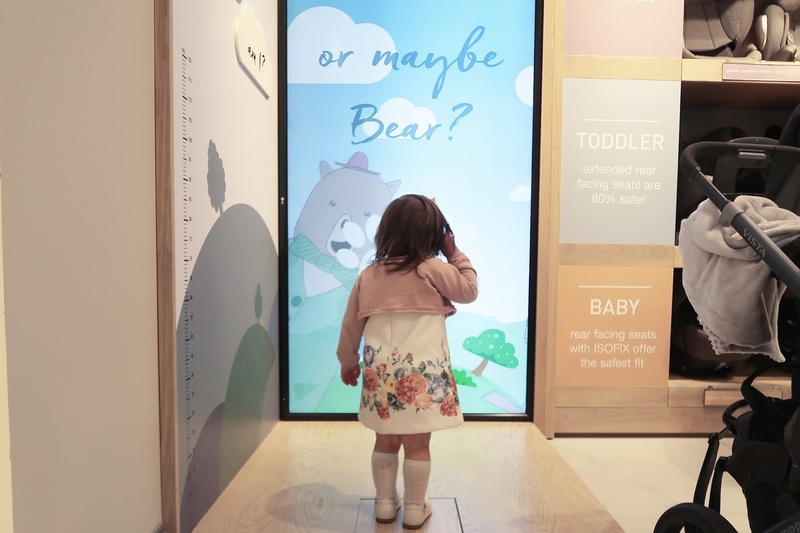 If they stand for long enough it reveals your childs height and weight making it functional for selecting a car seat or pushchair for the height and weight restrictions but also a fun distraction for the kids to enjoy while you're on your shopping journey. 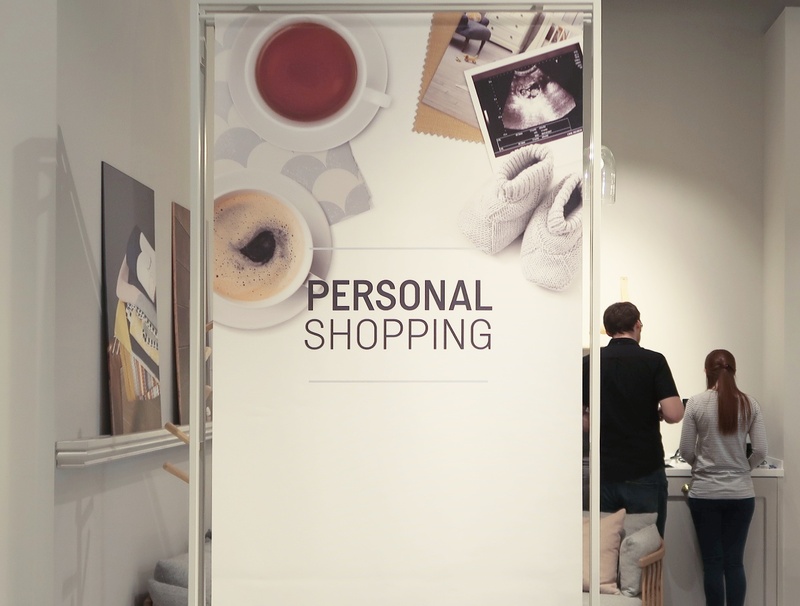 If all of these combined factors don't make for a calm in-store experience then you can always opt for a personal shopper. There's a separate area for this too where you can have a consultation and discuss price budgets and preferences. Next to a spacious cash desk is a host of fun 'playtime' mats and toys for babies of all stages, along with cards and other special gift choices. The gift wrapping service is also available giving that unique touch to a carefully chosen present. Overall I came away feeling like I'd just been in a Flagship store for the brand. They really didn't leave any stone unturned. I was so utterly impressed that I returned for another visit the very next day with my mum to help her buy a baby gift and to buy all of the things for Ella & Charlie that I couldn't stop thinking about when I got home from the launch day. Expect a haul on my YouTube channel soon with all of the lovely bits I picked up, they had 25% off so how could I resist?! Do you ever get a product and think this won't be that great and then when you actually use it you wonder what you ever did without it? That's the way I feel about the Mee Light. Being a blogger I'm offered the opportunity to review products all of the time. Some that I don't even mention on my blog because they're just not even worth the time of a blog post to say how terrible they are. Plus I'm of the opinion that everyone is different & I would never cause a company repetitional damage just because I had a poor experience with something. I will be honest, I thought this would fall into that category, gifted away because it's no use. I know how much you value my opinion on things and as much as I would be completely transparent about the pros and cons about something, if I can't find anything nice to say then I won't say anything at all. It's a concept I've been brought up by. I love being able to try out products and tell you what I think and bring you solutions to common mummy issues. 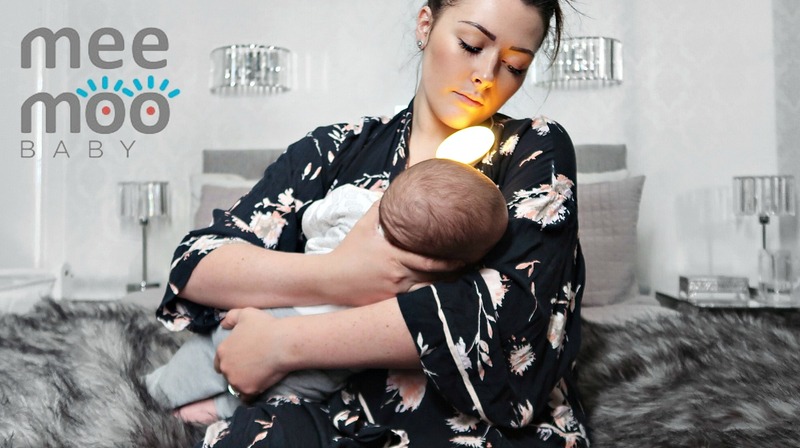 The Mee Light is the simplest and effective baby product I've used. Charlie, as you will know, is still breastfeeding. This means that he is still up every night to feed. Although we are now in Spring, the 'wee' hours in Scotland are still pitch black and therefore I need to turn on the light to feed Charlie. Fraser works shifts and I hate the thought of disturbing him during the night, the way I see it is at least one of us is entitled to a full night's rest, especially when he works crazy hours. We have wall lights and beside lamps. The beside lamps are too bright to turn on but our wall lights above our headboard are on a dimable switch so we can have them down low for night feeds. This is all very well but often the sound of the switch being turned on can unsettle Ella and wake her during the night, especially when she's at her light stage of sleep around 5/6am. I used to use my phone light to see charlie but it was too bright and even with the brightness level down it would time out and mean that I was doing everything singlehandedly too. 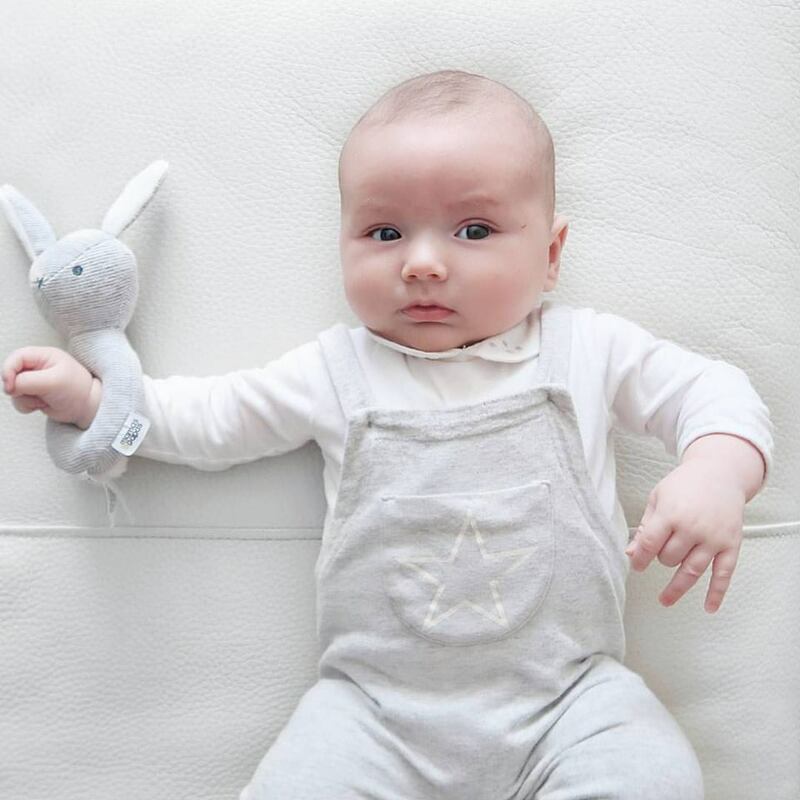 The MeeLight attaches to your clothes offering a handsfree experience which is essential I'd say, especially since I already feel like I need another arm anyway when I've got a baby! It projects soft light on to the area you need to see and has 3 different levels of light setting. Not only this but if you're like me and tend to fall asleep when you're feeding then it has a 15 minute automatic timer that switches off to save battery life. The charging unit is neat and minimalist, as it the design of the light. Because it can stand alone too I often switch it on to go to the loo during the night too so I don't wake up the whole house with a bright light. As I said before, it's a product I thought I'd never use but now, I wouldn't be without it! Worth it's weight in gold. 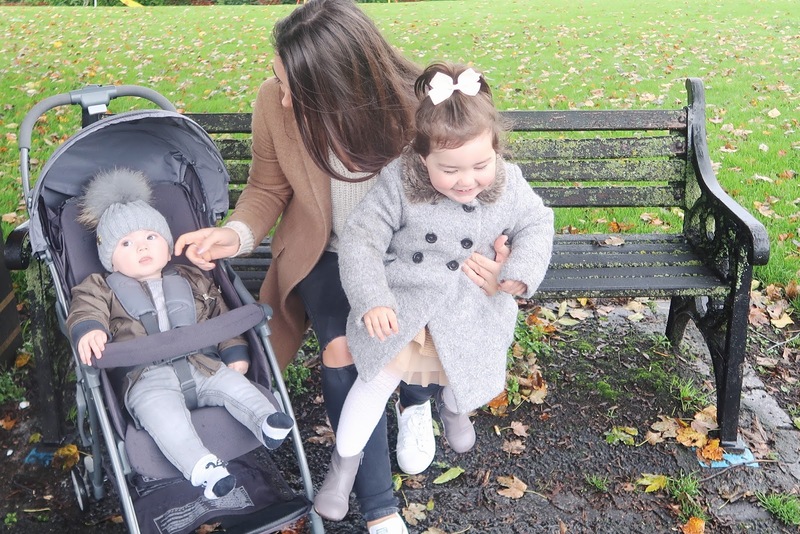 It's no surprise that having 2 babies in the space of 2 years wreaks havoc on your figure. After having Ella I found myself looking back at photos of myself from years past and thinking 'I wish I was as fat as I thought I was then' when I was probably 2 dress sizes smaller, had a flatter tummy with flawless skin - not a single stretch mark in sight yet still miserable about my appearance. It's crazy. I have really felt the pressure both times bounce back in my early post partum days. Is it because of the celebrity culture that we are consumed by on a daily basis? For most, it probably is but for me I just wanted to feel like the old Ash. 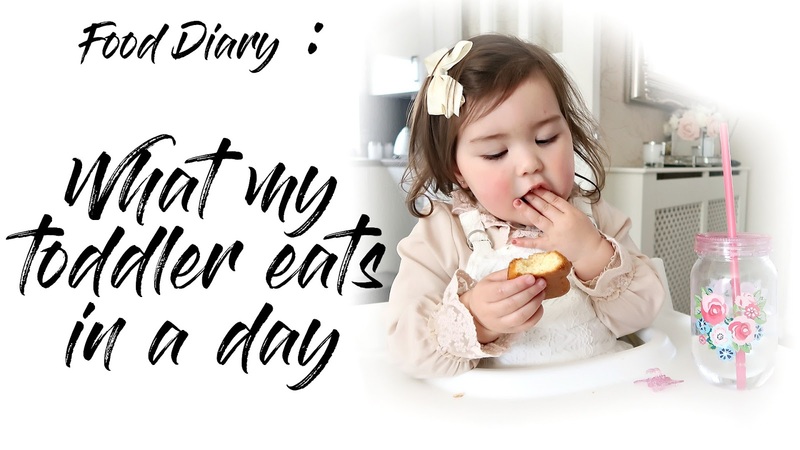 If you don't already know, I suffered with HG in both of my pregnancies which is severe vomitting all day every day and albeit I lost weight being pregnant due to the sickness, I felt I lost myself a little. I didn't feel like me and I didn't recognise myself in the mirror. My body was changing, my life was changing & I felt awful 99% of the time. The only thing that kept me going was knowing there was a positive outcome at the end and that there was an end to this in the first place. But anyway I'm rambling on about HG which is a whole blog post in itself which I will get round to writing eventually but for now it's all still too raw and I'm not in the right headspace to really open up about it. I made a promise to myself that after having Charlie I would do my best to try and get back into shape especially since this is probably going to be our last baby and we also have our wedding next year - eek. 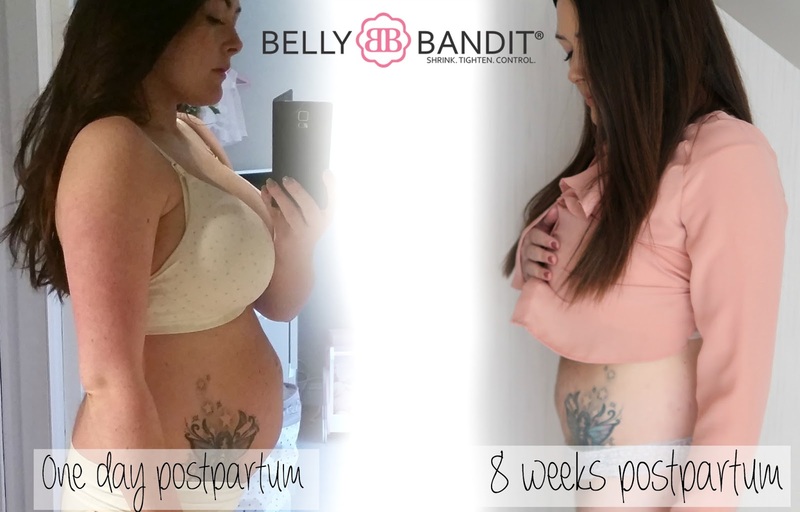 After doing a lot of research I realised that those changes need to start as soon as you give birth and the best way to train your body back into place is by using a Belly Bandit training band. The belly bandit is a huge stretchy piece of fabric that secures round your tummy with velcro. It helps to guide your split stomach muscles back to their pre-pregnancy position and flatten your stomach at the same time. I've heard horror stories of new mums saying their stomach muscles went back but trained outwards meaning they always feel about 3 months pregnant. Although you can fix this, it's just extra work that you don't need when you're trying to get into shape after having a baby. I've taken some before and after pictures which to be honest I'm beyond nervous to share with you. I'm embarrassed at the before picture and although I'm pleased with the results of the Belly Bandit I feel I'm putting myself out there to be scrutinised and judged for my post baby body. I feel vulnerable but happy to share how much of a difference the belly bandit has made for me. 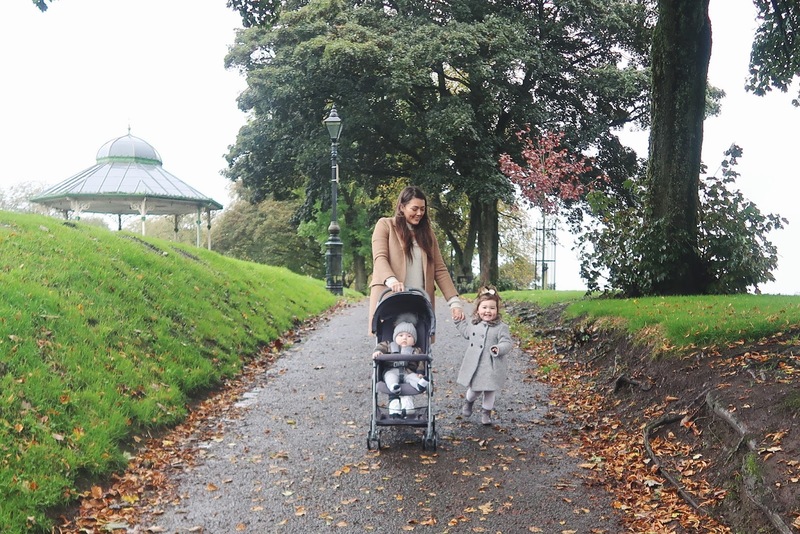 As a dog owning family, trips outdoors for walks and park time adventures are an all too frequent occurrence, and although Ella is great on her feet she would never be able to keep up a decent pace with us without the use of her buggy. We are fortunate that she never puts up much of a protest to go in it but with that being said it does sometimes feel like a bit of an ordeal to take a big pram out for a short walk down to our local park. We were looking for something to help with this transition from toddling to confident walks to the park but knew that inevitably she would get to a stage where she would end up cycling or using a scooter as her little mode of transport and that's where the SmarTrike Infinity 5-in-1 trike came in. 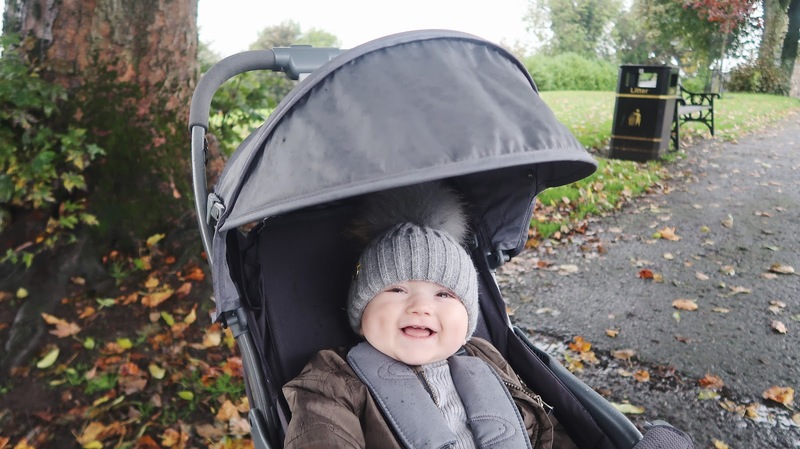 With the ability to take little ones on board from 10 months up to 3 years, we knew the SmarTrike was going to be a worthwhile addition to our home and I wasn't disappointed. 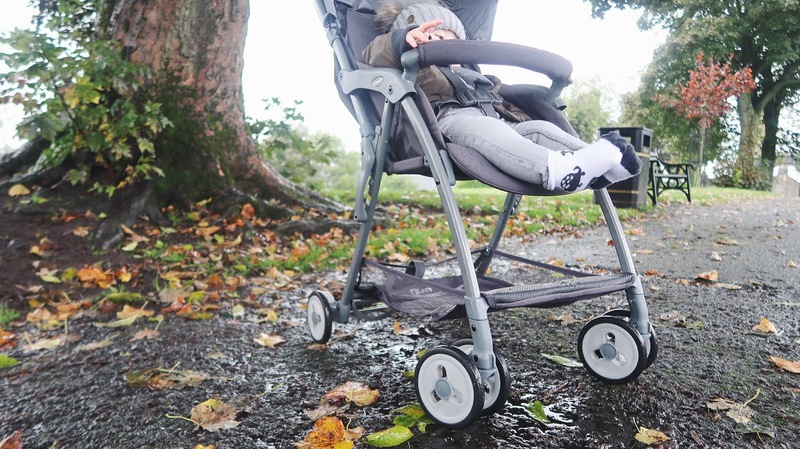 It's impressive design allows it to adapt as your baby grows as it starts as a stroller and ultimately transforms into your child's first trike, which I can only imagine makes the start of learning to cycle less daunting as it's such a familiar product to them. Admittedly, I was a little apprehensive when I started to unbox the SmarTrike and I seen how many parts there was to it, however after methodically looking at the photo instructions I soon realised how easy it was to assemble and was completely finished in less than 15minutes, which is pretty good going for a DIY amateur like myself. The trike has 5 modes which includes the ability to recline to accommodate younger children particular during sleep times. There are handy foot rests the pop out from the sides of the central body of the trike and conveniently tuck away again as though they are part of the design when the child starts to use the foot pedals. My favourite part about this SmarTrike is how plush the fabric feels. 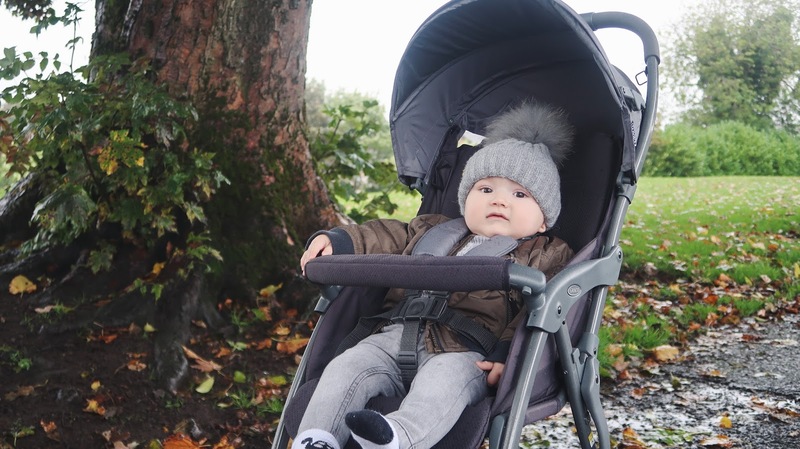 The super padded seat unit and canopy makes for a smooth, comfortable ride and also coordinates perfectly with the storage bag and handy pocket pouch located on the parent bar. I find the attention to detail with the storage fantastic as I have enough space to pack food, nappies, wipes, a spare coat etc in the bag as well as having a more convenient zipped wallet style pocket on the parent bar where I store my phone, keys money, hand sanitiser & doggy bags. Since I'm often on my own & have had to learn the trick of walking a dog and pushing a stroller, I didn't know how easy this was going to fair with the SmarTrike but thanks to it's patented 'Touch Steering Technology' this was a breeze. I'm also pleasantly surprised with just how well made and sturdy the SmarTrike is despite it being so lightweight! Ella has certainly enjoyed using it and we have had such joy watching her. She especially loves the little cup holder on the front so she can easily access her water & it seems she has been using her travel time to make all of her important calls as she plays with the phone attached to the front, a nice feature to keep kiddies entertained. I'm looking forward to the good weather coming in as unfortunately living in Glasgow, Scotland we are not lucky enough to have dry days too often. 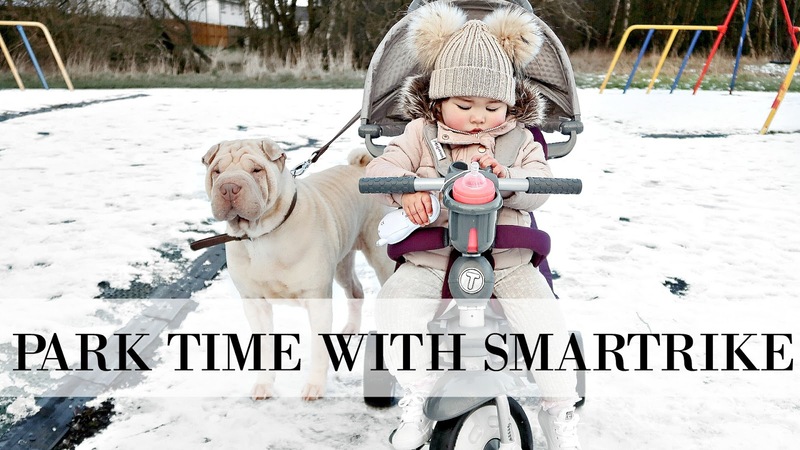 Have any of you used the SmarTrike range ? What are your thoughts? Sleep, or lack of, is a hot topic when it comes to parenting so it's no surprise that the market is saturated with products claiming to give you that peaceful nights sleep you've been dreaming about -more specifically daydreaming, actual dreaming would involve sleep... which we are not getting right now, remember? The power of social media can influence the perceived effectiveness of baby products. We have all been witness to babies blissfully sleeping in cribs, sleep aids, miracle performing swaddles and so on online which more often than not it is contrived for marketing purposes and there we are, falling for it hook line & sinker. This is what I thought I was going to categorise the 'Sleepyhead of Sweden' into - the 'Instagram made me buy it' file with all of the other nonsense that I purchased when I became a mum for the first time with Ella. Of course it looks beautiful & more importantly it looks comfortable for my baby, but is it really worth the £110 price tag? It seems a bit steep for 'just a pillow'. My intrigue for this product grew throughout my pregnancy as I felt I could never escape it. Pinterest worthy photos of dreaming babes, rave reviews & happy mummies - it all seemed too good to be true! So when I was given the opportunity to find out what I thought for myself, I grabbed it with both hands. So what is the Sleepyhead? It's a snug pod made from breathable materials said to 'reinvent the womb' to give your baby a sense of safeness and security. The thick bumper around the side of the pod helps to reduce startle reflex. When babies feel too much space around them like they would do in a crib or moses basket as a newborn they often get a fright and shoot their arms and legs out and this wakes them. 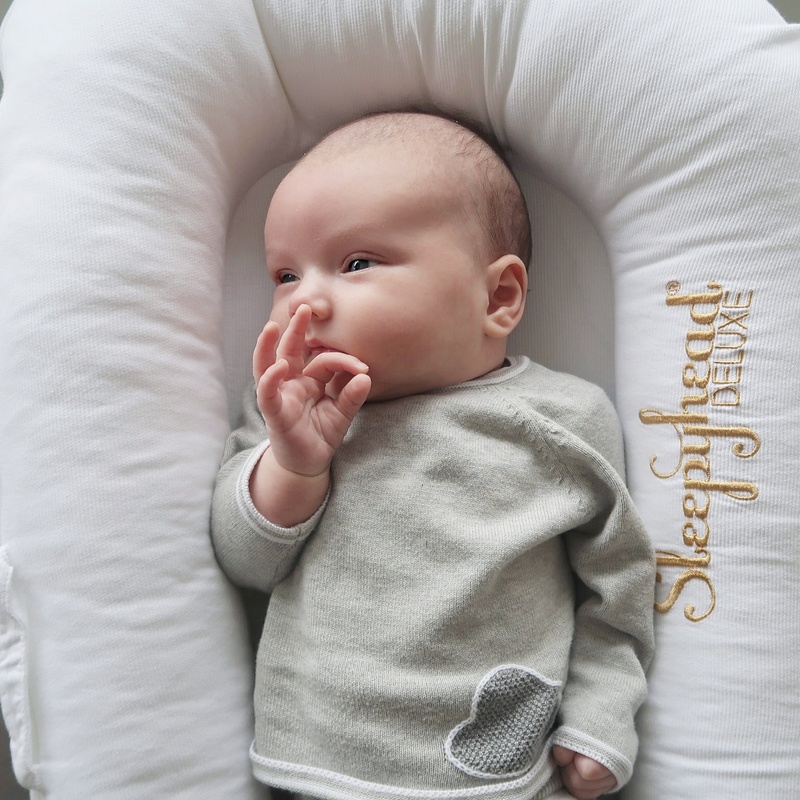 The sleepyhead provides the same sensation of being held so your baby is less likely to suffer from startle reflex and sleep for longer - win! When the product arrived I was impressed that it came in a protective cover/carry case, ideal for us since our baby, Charlie wasn't due for another few months and this kept it safe in storage. Charlie is 6 weeks old and has been using his Sleepyhead since birth. We use it inside his bedside crib which really helps to pad out all of that extra space that he isn't filling right now. Considering Charlie is breastfed, he only usually wakes once during the night. We go to bed at around 10.30pm when I will give him his last feed and then he will wake at around 4am. We completely put this down to the effectiveness of the Sleepyhead because he is so comfortable, content and probably so unaware that he isn't being held anymore! There are so many more features that I love about the Sleepyhead. It's portable. Ella is still in a travel cot when we stay overnight at my Mum's house so the thought of having to assemble 2 of them then find somewhere for them to sit would be a nightmare. Whenever I go to stay there I just take the Sleepyhead pod and put it in the bed beside me - it's great! There's also a carry handle at the top so when I'm making my trip from the car ladened down with 2 babies, a dog, a changing bag and an overnight bag I have a handle to loop on to a free part of my body!! I also love the range of covers you can get it in, there's something to suit everyone. I opted for the classic white option because I thought this would work well for photos to get a nice simple background. The cover itself is such good quality. Charlie has been sick and weed all over his a few time now - it washes well and dries so fast. The only complaint I have is that the cover isn't the easiest to get back on again. We have the hang of it now but the first few attempts it was quite frustrating to get the cushion to fit and close the zip but I suppose this is due to the nature of the design, to feel snug and cosy. The Sleepyhead deluxe goes from 0-8months but there's also a next stage called the Sleepyhead Grande which is for 8-36months, I would love to get that one as he grows. We will be transitioning Ella from cot to toddler bed soon, something that I am really anxious about, primarily because I'm scared she will fall out and hurt herself so I think to help with this process we will need to look at the Grande for her. Overall I am so impressed with this product and so glad that it wasn't just a fad! Not only is it sleek and luxurious looking but it actually lives up to it's dreamy sleep claims. 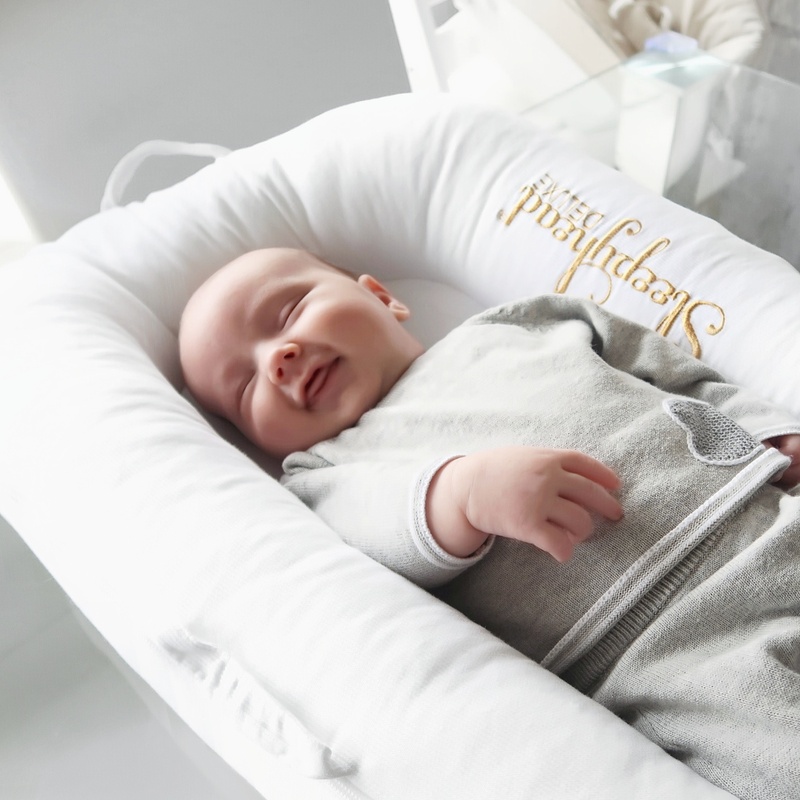 If you're thinking about getting a Sleepyhead or are having a baby and haven't heard of them before then I would get it to the top of your present list because it's something we just couldn't live without now! 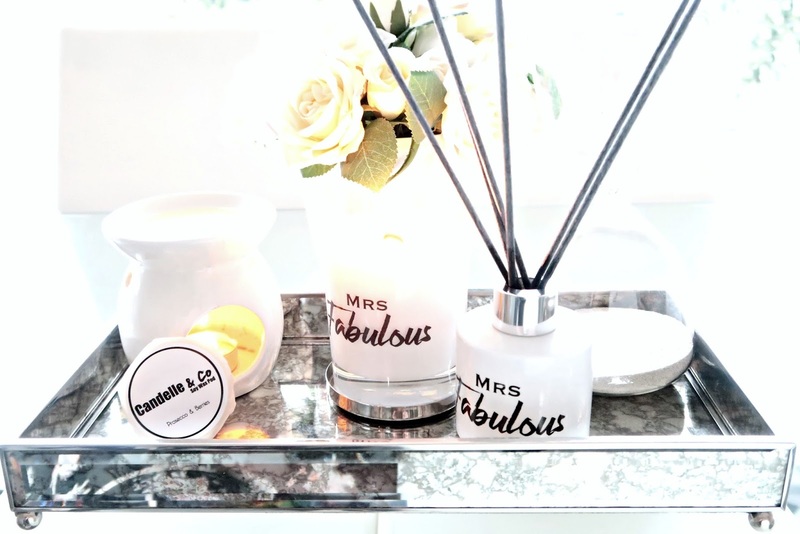 I love nothing more than a tidy home & some fresh candles burning - it brings me such a sense of calm and order knowing that things are in their place and I'm able to enjoy my space with gorgeous scents filling the air. It's so important to me that our home smells cosy and inviting to any visitors as this is the first impression when someone walks through the door. I kind of have a thing about house smells. I reckon I could be blindfolded and put into the homes of different close friends and family and know exactly where I am. I find it so distinctive. There's something really memory evoking about the scent of my mum & dad's house, the same for my grandparents' house too. I'd like to think this is the case for when they come visit us too. Whether it's candles, diffusers or wax melts (which I've only recently discovered but I'm loving!) I'm completely obsessed. I'm known to have them burning at anytime of the day and in every room - If anyone was ever looking for the ideal gift for me a candle would be right up there! I can't say that it would last for very long but I do adore a new candle. There's nothing nicer . 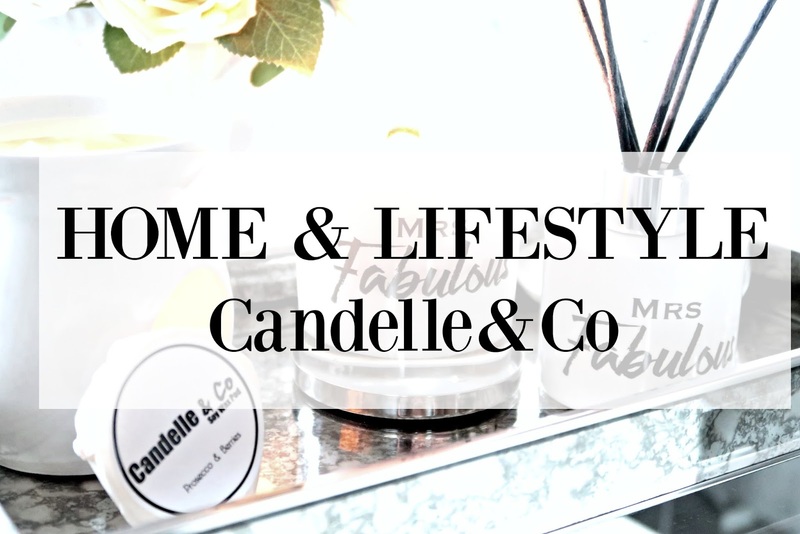 I recently discovered a small family company close to me in Glasgow, Scotland called Candelle & Co who specialise in bespoke, hand poured soy wax candles, reed diffusers & wax melts. All of their fragrances are developed in a small studio where they print their own packaging too, making the end to end process completely organic. Being a complete sucker for beautiful packaging, I couldn't help but fall in love with Candelle & Co's simplistic monochrome vibe - something that wouldn't look out of place in a Scandinavian set up. This, teamed with the huge list of bespoke fragrances to choose from (here!) you're truly spoiled for choice. As you can see, each order comes beautifully gift packaged in a white box with tissue giving you a feeling of a high end, luxury product - ideal gift idea, especially with Valentines Day just around the corner. I was so surprised with just how long the wax melts last for! Thankfully, I took the advice to break the tart into quarters and burn just 1/4 at a time - even then it's lasting forever which is just as well considering the rate I go through them usually! At the moment I'm using Mojito Twist which has a really fresh scent of lime making it the perfect winter - spring transitional smell. I really love burning this one in the kitchen as it definitely makes it feel clean and bright. At night I have been burning my Mrs Fabulous wooden wick candle. I love that this packaging doesn't show the amount you have left because the white glass jar is opaque, that's normally a pet peeve of mine as I think it looks really messy and untidy when you can see the candle going down in size. 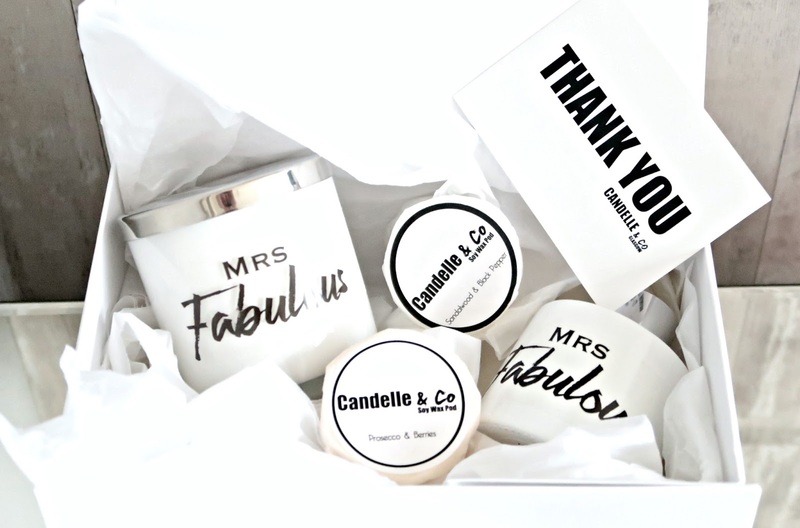 There's something really lovely about supporting local businesses and with a broad range like Candelle & Co have to offer, with such a helpful customer support team and high end packaging standards why would you ever want to buy one on the high street again ?